At a press conference held at 11:00 (Japan local time) on 21 April, the chief cabinet secretary, Mr. Edano, announced the establishment of a no entry zone around Fukushima Daiichi nuclear power plant, as well as basic policies concerning temporary re-entry. As of midnight (Japan local time) on 22 April 2011, the area within 20 km of Fukushima Daiichi nuclear power plant is announced as a no entry zone. Chief cabinet secretary, Mr. Edano, also announced a re-designation of the evacuation zone around Fukushima Daini nuclear power plant. He announced that "the size of the evacuation zone around the station would be reduced from 10 km to 8 km," and that "the order to evacuate based on the incident at Fukushima Daini nuclear power station would be lifted from areas farther than 8 km around the station." The IAEA receives information from a variety of official Japanese sources through the Japanese national competent authority, the Nuclear and Industrial Safety Agency. Additional detail is provided in the IAEA Incident and Emergency Centre (IEC) status summary with information received by 07:00 UTC on 21 April 2011. Injection of approximately 17 000 L of coagulant (liquid glass) to the power cable trench of Unit 2 was carried out on 18 April and injection of approximately 7 000 L of liquid glass on 19 April. The transfer of stagnant water from the Unit 2 turbine building to radioactive waste treatment facilities commenced on 19 April. The stagnant water (around 100 m3) in the basement of the turbine building of Unit 6 was transferred to the condenser on 19 April. Work to strengthen the electrical power system between Units 1 - 2 and Units 3 - 4 by establishing multiple power lines was completed on 19 April. White "smoke" continues to be emitted from Units 2, 3 and 4.. In Unit 4 40 tonnes of fresh water was sprayed over the spent fuel pool on 19 April using a concrete pump truck. Nitrogen gas is being injected into the containment vessel in Unit 1 to reduce the possibility of hydrogen combustion in the containment vessel. The pressure in the containment vessel has stabilized. The pressure in the reactor pressure vessel is increasing. The reactor pressure vessel temperatures in Unit 1 remain above cold shutdown conditions. The indicated temperature at the feedwater nozzle of the reactor pressure vessel is 154 °C and at the bottom of reactor pressure vessel is 113 °C. The reactor pressure vessel temperatures in Unit 2 remain above cold shutdown conditions. The indicated temperature at the feed water nozzle of the reactor pressure vessel is 135 °C. The reactor pressure vessel and the dry well remain at atmospheric pressure. Fresh water injection (approximately 47 tonnes) to the spent fuel pool via the spent fuel pool cooling line was carried out on 19 April. The temperature at the bottom of the reactor pressure vessel in Unit 3 remains above cold shutdown conditions. The indicated temperature at the feed water nozzle of the reactor pressure vessel is 100 °C and at the bottom of the reactor pressure vessel is 108 °C. The reactor pressure vessel and the dry well remain at atmospheric pressure. There has been no change in the status in Unit 6 or in the common spent fuel storage facility. On 20 April, deposition of I-131 was detected in 8 prefectures, ranging from 2.4 to 80 Bq/m2. Deposition of Cs-137 was detected in seven prefectures, the values reported ranging from 2.6 to 87 Bq/m2. Gamma dose rates are measured daily in all 47 prefectures. For Fukushima on 20 April a gamma dose rate of 1.9μSv/h was reported, and for Ibaraki prefecture a gamma dose rate of 0.12μSv/h was reported. In all other prefectures, reported gamma dose rates were below 0.1μSv/h. Dose rates are also reported specifically for the eastern part of Fukushima prefecture, for distances beyond 30 km from Fukushima Daiichi. On 19 April the values in this area ranged from 0.1 to 22μSv/h. In cooperation with local universities, the Japanese Ministry of Education, Culture, Sports, Science and Technology (MEXT) has set up an additional monitoring programme. For 20 April, measurements of gamma dose rates were reported for 54 cities in 40 prefectures. 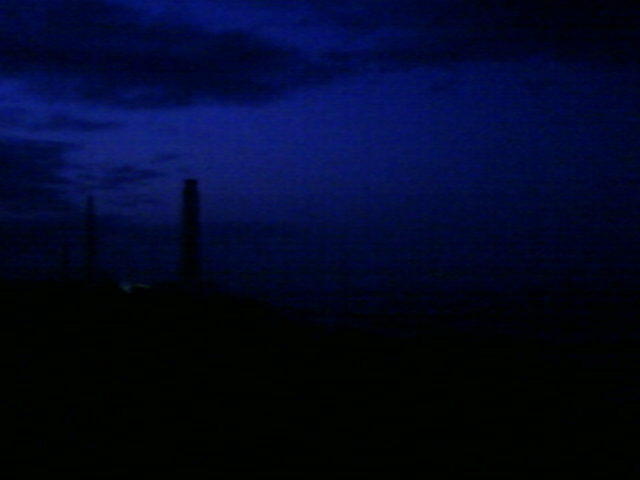 In Fukushima City a value of 0.42μSv/h was reported. For nine cities, gamma dose rates between 0.13 and 0.17μSv/h were reported. For all other cities reported gamma dose rates were below 0.1μSv/h. I-131 or Cs-137 is detectable in drinking water, but at levels below 1 Bq/L and in only a few prefectures. As of 20 April, one restriction on drinking water for infants relating to I-131 (100 Bq/L) remains in place for a small scale water supply in a village of the Fukushima prefecture. Food monitoring data reported by the Japanese Ministry of Health, Labour and Welfare on 20 April covered a total of 103 samples. 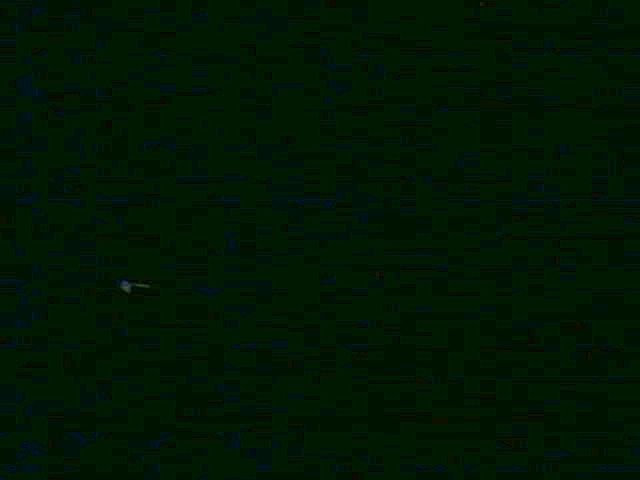 These samples were taken on 3, 14, 15, 18, 19 and 20 April from nine prefectures (Chiba, Fukushima, Gunma, Ibaraki, Kanagawa, Niigata, Tochigi, Tokyo and Yamagata). Analytical results for 99 samples of various vegetables, shiitake mushrooms, fruit (strawberries), fish, seafood and unprocessed raw milk indicated that I-131, Cs-134 and Cs-137 were either not detected or had levels below the regulation values set by the Japanese authorities. Four samples of leafy vegetables (Japanese parsley, komatsuna, shinobuhuyuna and spinach) taken on 18 April from Fukushima prefecture had levels above the regulation values set by the Japanese authorities for radioactive caesium. On 20 April, restrictions were placed on the distribution and consumption of the young of a specific sea fish (sand lance) from the coastal region of Fukushima prefecture. As has been reported previously, sand lance is the only seafood that has been found with I-131, Cs-134 or Cs-137 levels above the regulation values set by the Japanese authorities. TEPCO is conducting a programme for seawater monitoring (by surface sampling) at a number of near-shore and off-shore monitoring locations. Following a directive from NISA, on 16 April TEPCO announced that it will increase the number of sea sampling points from ten to 16. A further four points are to be added at 3 km from the coast and two points are to be added at 8 km from the coast. 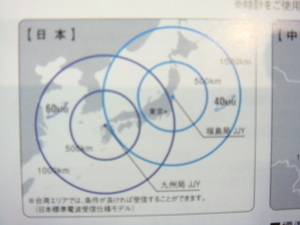 The new sampling sites are indicated on Map 1: TEPCO Seawater Sampling Locations, on which new points are indicated with green bullets. 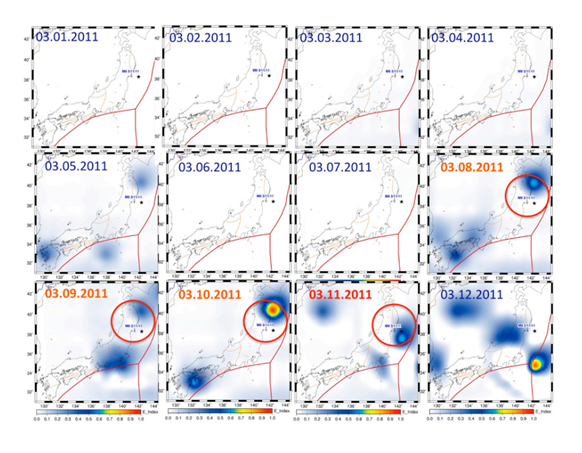 Until 3 April a generally decreasing trend in radioactivity was observed at the sampling points TEPCO 1 to TEPCO 4. After the discharge of contaminated water from the plant on 4 April, a temporary increase in radioactivity in sea water was reported. Since 5 April a general downward trend in the concentration of radionuclides in sea water for all TEPCO sampling points has been observed. On 21 April new data for TEPCO sampling points were reported. For TEPCO 1 - 4 (sampling date 19 April) the values for both I-131 and Cs-137 were below 0.5 kBq/L. For TEPCO 5 - 10 (sampling date 18 April) the values for both I-131 and Cs-137 were below 0.3 kBq/L. For the six new stations at 3 km off-shore and 8 km off-shore (green bullets in Map 1; sampling date 18 April), I-131 and Cs-137 were not detectable at the two stations 3 km off-shore; for all the other stations the level of I-131 was below 0.3 kBq/L and that of Cs-137 was below 0.4 kBq/L. On 21 April new data were reported (sampling date 19 April)for the MEXT 2, 4, 6, 8, 10 and B off-shore seawater sampling locations shown in Map 2: MEXT Seawater Sampling Locations. I-131 was detected only at the location MEXT 6 and the level was below 20Bq/L. Cs-137 was detected at locations MEXT 6 and 8 at a level of below 30 Bq/L. Georgia and Iceland have also provided monitoring data, in addition to the States that have been mentioned in previous briefs. On 18 April the IAEA monitoring team finished its radiological monitoring campaign and the team returned to Vienna on 20 April. A new report reveals that US and IAEA officials knew since late March that the Fukushima nuclear power plant suffered a nuclear meltdown within 3.5 hours of the Japan earthquake and subsequently hid it from the public. 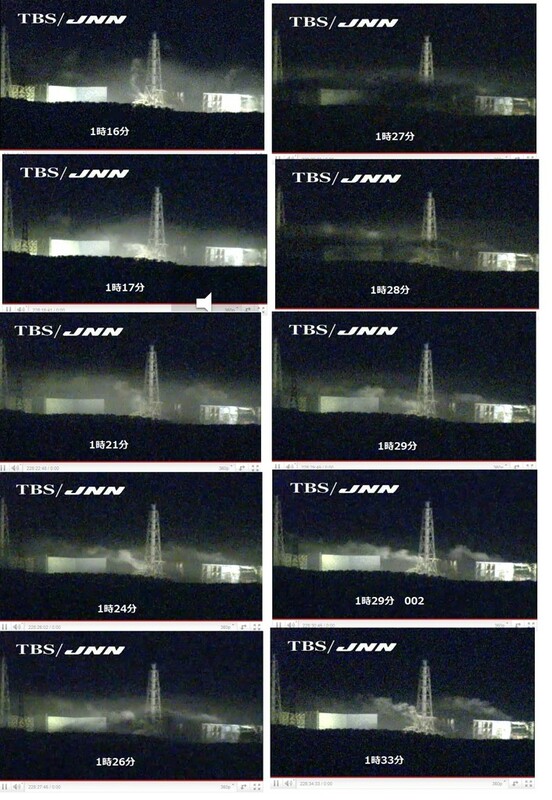 【元記事転載】Secret Weapons Program Inside Fukushima Nuclear Plant? The bloom of irradiated seawater across the Pacific comprises another piece of the puzzle, because its underground source is untraceable (or, perhaps, unmentionable). The flooded labyrinth of pipes, where the bodies of two missing nuclear workers—never before disclosed to the press— were found, could well contain the answer to the mystery: a lab that none dare name. After Japan's defeat in 1945, both Tojo and Kishi were found guilty as Class-A war criminals, but Kishi evaded the gallows for reasons unknown—probably his usefulness to a war-ravaged nation. The scrawny economist’s conception of a centrally managed economy provided the blueprint for MITI (Ministry of International Trade and Industry), the predecessor of METI, which created the economic miracle that transformed postwar Japan into an economic superpower. The cynical attitude of the nuclear lobby extends far into the future, strangling at birth the Japanese archipelago's only viable source of alternative energy—offshore wind power. Despite decades of research, Japan has only 5 percent of the wind energy production of China, an economy (for the moment, anyway) of comparable size. Mitsubishi Heavy Industries, a nuclear-power partner of Westinghouse, manufactures wind turbines but only for the export market. Meanwhile in 2009, the International Atomic Energy Agency (IAEA) issued a muted warning on Japan's heightened drive for a nuclear bomb— and promptly did nothing. The White House has to turn a blind eye to the radiation streaming through American skies or risk exposure of a blatant double standard on nuclear proliferation by an ally. Besides, Washington's quiet approval for a Japanese bomb doesn't quite sit well with the memory of either Pearl Harbor or Hiroshima. In and of itself, a nuclear deterrence capability would be neither objectionable nor illegal— in the unlikely event that the majority of Japanese voted in favor of a constitutional amendment to Article 9. Legalized possession would require safety inspections, strict controls and transparency of the sort that could have hastened the Fukushima emergency response. Covert weapons development, in contrast, is rife with problems. In the event of an emergency, like the one happening at this moment, secrecy must be enforced at all cost— even if it means countless more hibakusha, or nuclear victims. Instead of enabling a regional deterrence system and a return to great-power status, the Manchurian deal planted the time bombs now spewing radiation around the world. The nihilism at the heart of this nuclear threat to humanity lies not inside Fukushima 1, but within the national security mindset. The specter of self-destruction can be ended only with the abrogation of the U.S.-Japan security treaty, the root cause of the secrecy that fatally delayed the nuclear workers' fight against meltdown. Yoichi Shimatsu who is Editor-at-large with the 4th Media is a Hong Kong–based environmental writer. He is the former editor of the Japan Times Weekly. This article is first appeared in the New American Media. Translation of the original note written in the old Japanese into the modern Japanese.